In fact I love America full spot. I can’t help it. I am slightly obsessed by the U. S. of A – the lifestyle, traditions and yes, I admit it some of the glamour too. 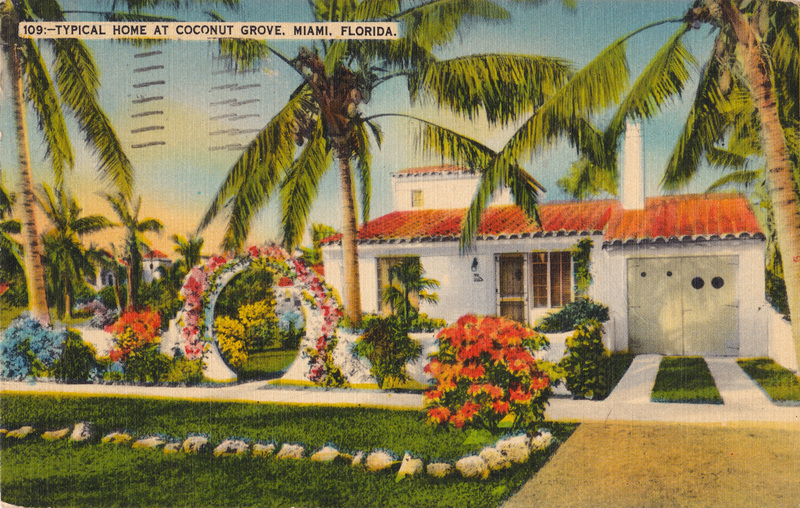 I first visited Miami when I was about 14 – it was part of a day trip as I was on a family holiday to Orlando. At the time I remember thinking how colourful, fascinating and exciting it all seemed. It was many years before I went again when I was working on WOMAN magazine. Miami was a fashion trip destination where we went to shoot summer fashion stories in the actual sunshine (because it’s Winter time in the UK when this needs to be done). I think it also holds a special place in my heart as one of my first ever fashions stories on location was shot there. I think my story was a day to night special – clothes that could be worn in the day and then your added a few extra pieces and accessories to wear them again in the evening. I’ve been lucky enough to go many times, stay in some great hotels and eat in some amazing places all while working – and believe me it is work! Long days shooting on the beach or streets, late nights out with your crew, model castings, constant clothes steaming and packing/repacking of cases umpteen times. But, it was the best FUN too! One visit saw me staying at The Sagamore Hotel – a classy Art Deco all-suite hotel on the fashionable Collins Avenue. The suites are sleek, modern and stylish – and as much as a get the look would have been super cool…. I also wanted to share my favourite places to eat. Although the turnover of what’s hip and cool in Miami is fast – as with anywhere – these are the classic restaurants that sum up Miami eating for me and whenever I go are top of my list. What started as a family-run coffee house is now a massive part of the Lincoln Road shopping experience. With a vast outside area this is the place for people watching, cocktails and large portions of American favourites. The fish tacos, made-to-order guacamole and mac’n’cheese are all top notch. A local chain serving up counter pizza by the pie or slice. The Roman-style rectangular pizzas are, well rustic – cheap, cheerful and open till late. If there is one place I always suggest anyone visits it’s here. Not only is it a retro diner housed in a railroad-style car (which I love) – it serves the best comfort food, bottomless hazelnut coffee and the biggest salads I’ve ever had (umm… ranch dressing!). The Southern fired chicken has been voted the best in Miami – which I can vouch for – and is best served with the home-made mash, sautéed spinach and gravy. Yes, it may be a chain and originally first opened up in LA. But, no Americana experience would be complete without an classic all-American Burger, fries and shake. And, it doesn’t get much better than Johnny’s. I also love the 1950’s style decor – it reminds me of the diner in Happy Days. No visit to South Beach would be complete without a stop at this more than 100 year old multi generation family-run ‘lunch counter’. Maine lobster rolls, New England Fish fry, and of course, stone crabs served with mustard sauce are a specially. But, leave room for the infamous key lime pie. 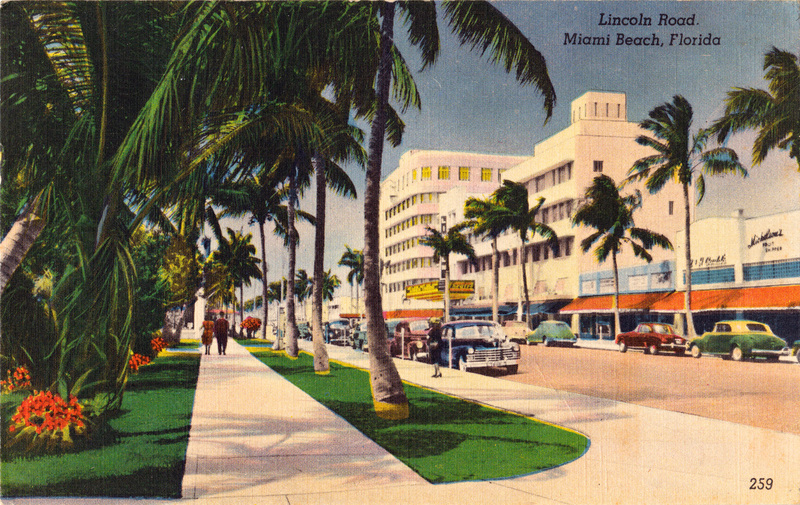 Pure vintage Miami. This mainly outdoor, all-day side-walk cafe is iconic due to the fact it’s steps away form the home of the late Gianni Versace. A prime location for people watching as it overlooks the beach – and famed for its relaxed and casual atmosphere. The inside is small but worth a look for the largest selection of local and international newspapers and magazines. A relaxed, family friendly mexican restaurant serving up supersize Margaritas and bottomless bowls of home-made tortillas chips and salsa. Order light as you will fill up on these! The taco carnitas, mexican corn (with chipotle cream) and classic fajitas are all worth a mention too. A much more formal affair here – and advisable to book ahead. As this intimate corner restaurant has been serving home-made Italian food for over 25 years – and feels like a hidden secret. Yummy fresh pasta, seafood and out of this world dessert specials. A über fashionable and healthy place for a spot of lunch or a light bite. Amazing salads and not-to-be-missed cakes (it started life as a cake shop so stands to reason) – so, much so that they offer an Ice-Box sample of cakes (3 or 5 half portions) for those who cannot decide. 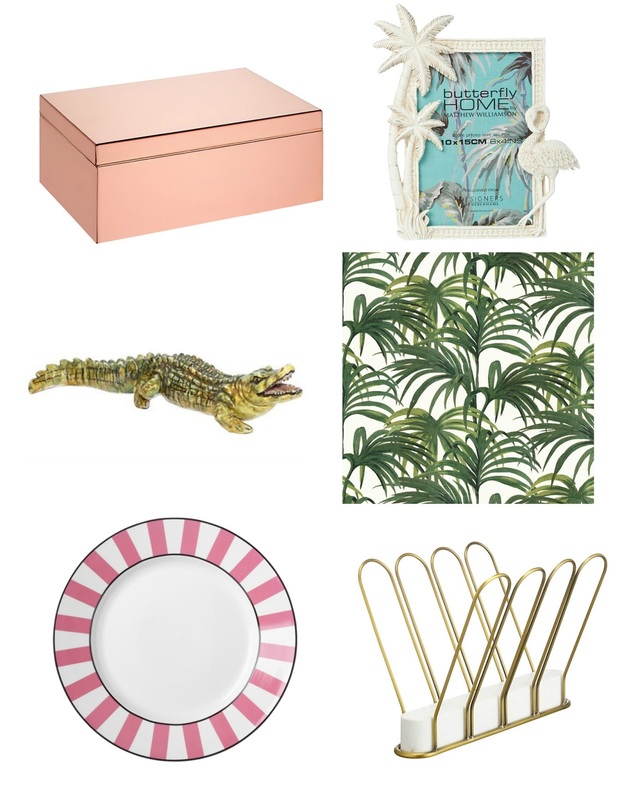 Next Post 14 last-minute modern wedding gift ideas for Mr. & Mrs.
One day I'll get there!! These are my favourite summer colour, Bon. They make me so happy. There's something so fun about them. Still somewhere I have never been and I have an offer of staying with a friend too so really no excuse! 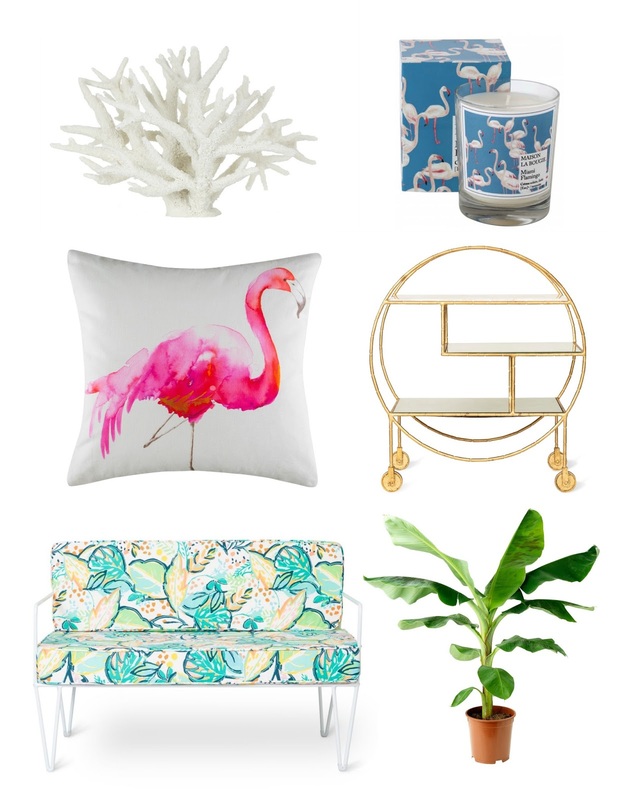 Still love the flamingo cushion! Great post! 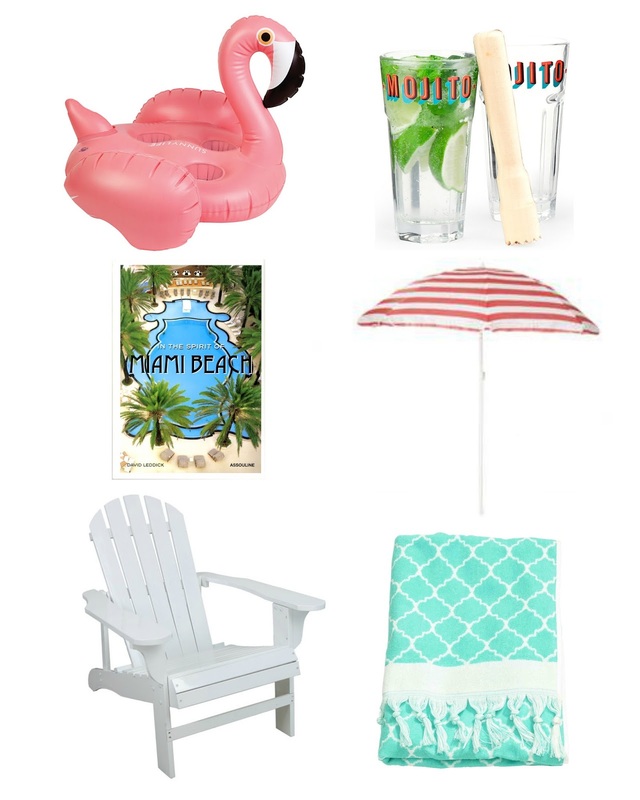 I love Miami and I think you highlighted some of its best attributes. I can’t wait to try the restaurants you recommended. I think the food might be my favorite thing about Miami. Thanks for sharing!